This piece appeared in Research in African Literatures exactly three decades ago. Since then mighty changes have occurred in Somalia in particular, and in the world at large generally. Alas, Abdisalaam Haaji Aadan, the witty burlesquer in the piece, is dead, so is the Somali state, so is the Soviet Union; for its part, America has bulldozed recklessly into the wastelands of Afghanistan and Iraaq where it continues to suffer, in blood and treasure; and presidential claims for “Obama Care” are now sticking in President Barrack Obama’s craw! But somethings never change, notably Somalis’ passionate love for their poetry, which, by turns, inflames and inspires them. Below is a sliver of poetic discourse, which should give them a momentary respite from their clan obsessions! Burton, however, has validly noted the prominent place occupied by poetry among the pastoral Somalis; for poetic oratory and pastoralism tend to dominate the Somali sociopolitical system and few students of Somali culture and history have failed to observe the salience of these two themes in the social institutions of the Somali pastoralists. The works of such scholars as M. Maino, Margaret Laurence,’ and B. W. Andrzejewski and I. M. Lewis have confirmed Burton’s assessment of the importance of oral poetry for the social milieu of the Somalis. These authors refer to the Somalis as a “nation of bards.” Their appraisal is echoed by Somali commentators on numerous occasions, most notably by the late president of the Republic, Dr. ‘Abdirashiid ‘Ali Shermarke,who spoke of his countrymen’s lyric verse as “one of the two national assets of inestimable value . “The other asset the president had in mind was Islam and in putting poetry on the same level of importance, the president paid no small recognition to his country’s poetic heritage. With a measure of precision and articulateness that often astonishes literary academics, the pastoral Somalis cultivate their oral poetry and classify it into a precise range of forms and genres. The technical term for poetry in Somali is Maanso, although Gabay, a less adequate word referring to only one popular form of Maanso, is more commonly used. The pastoralists classify their Maanso verse into at least six forms, each of which has a particular name and definite melody to which it is chanted or recited. The six forms of Maanso are Gabay, Geeraar, Jiifto, Weeglo, Guuraw and Buraambur.l0 The criteria for classifying the six types of poetry into distinct forms emanate not only from melodic variations but also from variations in theme. 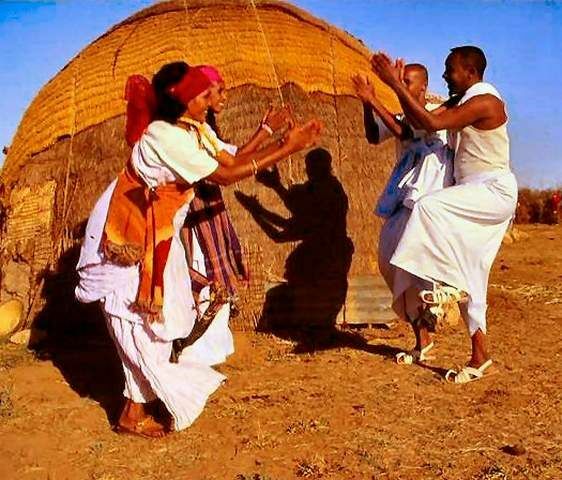 The pastoral Somalis also classify their Maanso verse by genre and identify by name at least fifteen divergent themes that a poet may treat in his work.